A Little Help (ALH) empowers older people through direct volunteer services including transportation, yard/home chores, technology/handy help, and caregiver respite, and through social/educational events such as picnics, interest groups, and intergenerational programming. In coordination with community partners, ALH creates opportunities for older adults to engage in meaningful community with neighbors of all ages and backgrounds to share stories, combat isolation, and reawaken purpose. A Little Help began in 2005 when a group of neighbors joined together to support seniors to age well at home. This model equips neighbors to deliver vital services, empowering elders to age interdependently in their homes, on their terms. In 2007, ALH incorporated as a 501(c)(3) non-profit organization with the mission of connecting neighbors to help older people thrive and has been innovating upon the village movement with evidence-based best practices ever since. The program’s beneficiaries are older people in the community. ALH provides resources to older people in our community who risk losing independence and identity with age. 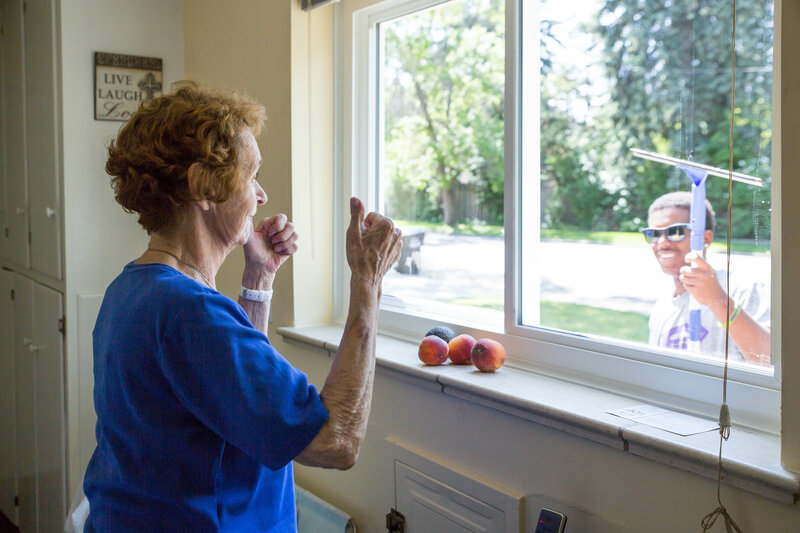 Family and neighbor caregivers are also greatly benefited by sharing the care of their loved ones with willing neighbors, providing respite and support in their caregiving roles. Our volunteers benefit from the building of relationships with those they serve. Since our founding, ALH has served over 1,000 elders and engaged over 1,800 community volunteers. How collaboration worked: A Little Help's service delivery model is based on effective collaborations with community volunteers, vendors, and organizations. In addition our community volunteers and recommended service providers, A Little Help partners with the following groups to provide educational and social services, resources, and program visibility: Jewish Family Services, Denver Regional Mobility and Access Council, Denver Regional Council of Governments, Seniors’ Resource Center, Kavod Senior Life, InnovAge, Denver Commission on Aging, Denver Office on Aging, Generations United, Communities for All Ages, Caring Across Generations, Alzheimer’s Association, Colorado Neurological Institute, AARP Colorado, Kaiser Permanente, Walk2Connect, Village to Village Network, Community First Foundation, University of Denver, Anschutz Family Foundation, A.V. Hunter Trust, Daniels Fund, Denver Foundation, Anschutz Foundation, Easter Seals Colorado, Colorado Respite Coalition, Anschutz Medical Center, Boomers Leading Change, SAGE of the Rockies and The Center, Latino Age Wave, Latino Community Foundation of Colorado, local churches, businesses, organizations, scout troops, universities, and schools. Please visit alittlehelp.org for more information. Details on older people's involvement: A Little Help makes an intentional effort to engage our seniors and volunteers in the planning process and to establish feedback loops throughout programming. Our founders are now in their late 90s; each of our Board Members is a representative member of our organization; and over 50% of our staff are over age 50. We are writing up our latest survey results. Attached is our last finalized evaluation report. Our overall approach to evaluation has always included qualitative and quantitative assessments, which we use to design programming and to inform strategic planning and direction on an ongoing basis. a)	The ultimate impact of A Little Help’s work is that our service model increases the number of elders who have the choice to live interdependently in their own homes, and builds stronger, more integrated communities where all neighbors participate in achieving the best outcomes. b)	A Little Help measures the impact our work has on elder members by continuously tracking members served, requests filled, and services provided. By using our proprietary and comprehensive HelpConnect system, we account for our outputs, outcomes, and impact. Recording our services not only enables us to provide reports of services provided, but also empowers us to self-monitor our impact. We maintain open communication between members, volunteers, and staff, so that all feel safe providing honest feedback. Yes. We are growing throughout urban, suburban, and rural Colorado by establishing sustainable Branches, implementing our mission, service delivery, and programming. ALH has developed this best-practices, geographically-flexible model that has a tangible impact on seniors and their neighbors, enriching quality of life. We are currently growing our fifth Branch in Colorado and strategizing our next growth action plans. We have been learning about our model and our scalability as we grow. 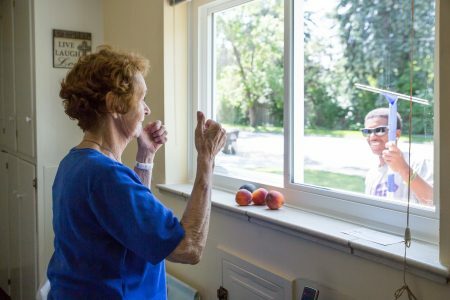 Recruiting volunteers to expand our service offerings and to join our Site Teams is important to our growth vision to serve more seniors better. We better understand each year how to best foster growth while maintaining close relationships and community feel. We have learned the importance of clear communication to define and meet our members’ and volunteers’ expectations. By updating our HelpConnect system to track communications and redrafting our intake materials, and coupling these additions with Warm Welcome visits, we forge personal connections with each member and volunteer to align our goals. We have learned better ways to train our volunteers to safely provide services. We recently created What the Help?! Parties to orient our volunteers to the organization and to provide another social opportunity for our volunteers to connect and share experiences. We are also building our online Volunteer Training video series to efficiently equip our volunteers to provide quality care. Building our human capital while maintaining our scrappiness and efficiency has proven to be a successful combination for our model. We also learn more about the unmet needs for seniors in Colorado. More resources are needed for this greatest generation of seniors, and especially for the Baby Boomers, who represent a large group of seniors and who are already beginning to seek senior care. Identifying these gaps in services and resources helps us grow our suite of services in each Branch and informs the need for more funding resources to provide more direct resources. We are well-poised to locate and fill gaps because of our malleability and nimbleness and look forward to the continued opportunity to meet needs in the future. One challenge has been engaging volunteers on our original Branch's Site Teams. We are retroactively instituting the models that have worked in our newer Branches into Denver. Volunteer Site Teams are important to our model and it has been difficult to find those volunteers in Denver, where the home base office had typically filled these local roles in the past. We continue to work on recruiting these specialized volunteers, so our small home base staff can give as much attention to each Branch as we grow. Another challenge in our larger Branches, Denver and Jefferson Counties, is visibility. In our rural Branches, we have more quickly built our local reputation as their local nonprofit- it is easier to reach a critical mass of visibility in smaller towns with fewer resources. In Denver and Jefferson Counties, there are more resources in this field, although ours is unique, and awareness and visibility are tougher to build. Working with partners helps this fact, but in a field that is confusing to navigate, this is a continued challenge. Having been a part of work groups on coordinated resources with the City and County of Denver’s Office on Aging, we have seen that this is a challenge for nearly every organization in this realm. We continue to work on strategies for community education and resource coordination with our partners in the field.